The apostles gathered around Jesus, and told him all that they had done and taught. He said to them, “Come away to a deserted place all by yourselves and rest a while.” For many were coming and going, and they had no leisure even to eat. And they went away in the boat to a deserted place by themselves. Now many saw them going and recognized them, and they hurried there on foot from all the towns and arrived ahead of them. As he went ashore, he saw a great crowd and he had compassion for them, because they were like sheep without a shepherd; and he began to teach them many things. Last Sunday our mission team gathered in the parking lot after worship, prayed together, and then set out for the beautiful bounty of West Virginia. 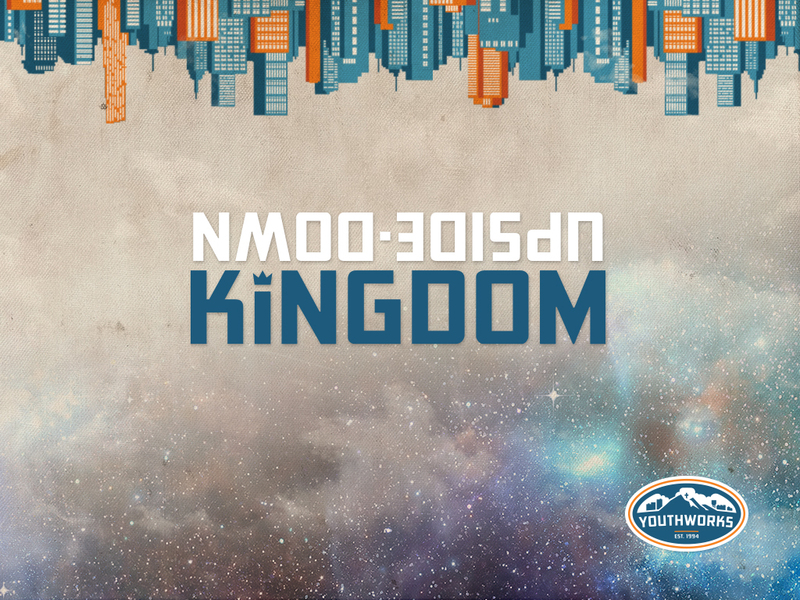 I don’t know how the rest of the team felt as we made our way west, but I was excited; we were committing ourselves to a community, we were going to be Christ’s hands and feet, and we were going to experience God’s upside-down kingdom. McDowell County, West Virginia is nothing short of beautiful. While the roads twist back and forth and the topography ebbs and flows, you are constantly bombarded by the beauty of God’s creation. Sitting behind the wheel, the scenery flies past the window and all evidence of humanity’s presence is gone except for the occasional roadside house and the road beneath the wheels. By the time we finally made it to Welsh, WV we were ready to work, and we were ready to get out of the cars. But the scenery had drastically changed from the journey; when we arrived in Welsh it felt as if time had stopped. At one time Welch was one of the ten most populated places in the United States. More coal has been found and produced in McDowell County than nearly every other coal mining venture in the rest of the country. The community grew rapidly as the industry boomed, but now it is a ghost town. The final moments as we drove up to where we would be staying for the week were met with silence as we absorbed our surroundings. Countless empty buildings littered the streets, handwritten signs adorned the windows begging people and businesses to consider renting the space, and for the longest time we drove without seeing another human being. The apostles, those first ragtag disciples, had gathered all around their teacher to share with him all they had done and taught. They went on and on about the lives they had changed, the miracles they were able to perform, and moments they had experienced God’s presence. But then Jesus said to them, “Come away to a deserted place all by yourselves and rest awhile.” For many were coming and going, and they had no leisure even to eat. Our mission team had arrived in our deserted place, but we would find little rest. Our church team was divided into two different work groups; the first would be working in a local food pantry, helping them to organize different donations before the weekly distribution on Saturday, the other would be working on painting the floors of house in the small town of War. The time before and after working would be spent in prayer, bible study, fellowship building, and learning about the local community. From the Food Pantry group we learned that 100% of the children in McDowell County are on Free/Reduced lunch and that more than 50% of the children are considered homeless. From a former coal miner we learned that for a long time McDowell County was one of the wealthiest in the nation thanks to their coal mining, but that now the mines are being shut-down, and more and more people are without work and purpose. It would have been easy to show up in McDowell, roll up our sleeves, work hard, and leave feeling good about the work we had done. It would have been easy to make a few friendships, pray for the people we met, and return to our lives in Staunton. It would have been easy to return to the pace of life here without being affected by what we had seen and experienced, but Jesus calls us to live in the Upside-Down Kingdom where our lives are flipped around. When the crowds were gathering to see this special man named Jesus, many were coming and going and the had no leisure even to eat; what a perfect description of the lives that many people are living today. Far too many of us rush through the mundane aspects of daily living without taking the time to reflect on what we are actually doing. Kids grab Pop-tarts on their way out the door in the morning, young professionals order the same cup of coffee with urgency before their daily commute, families sit down at a communal table to eat but each member has their nose down in a smart phone in order to connect with others, while actually disconnecting from the people in their midst. Many of us Christians spend our faith lives just like the crowds so long ago. We treat church not like the precious gift that it is, but like any other commodity in our lives. Instead of seeing it as a vital and life-giving space, we see it as another item on the never-ending check-list of existence. Some of us have so much to do, that church has become an occasional venture, rather than a regular necessity. So many of us are coming and going at such a tremendous speed that we no longer have the time to feast on God’s Word in prayer and in worship. The mission team, however, abandoned the fast pace regularity of life, and were forced to adjust to God’s schedule. 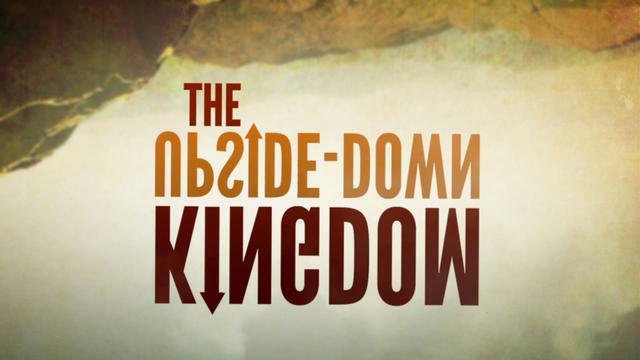 Every morning we woke up to eat and begin our devotions; How were we experiencing God’s Upside-Down Kingdom? Where had we seen brokenness in the community? What is God trying to do through us this week? We began and ended every single activity with prayer, and we devoted ourselves to the people we were serving. Now many saw the disciples and Jesus, so they hurried there on foot from all the nearby towns and arrived ahead of them. As Jesus went ashore, he saw a great crowd and had compassion for them, because they were wandering like sheep without a shepherd; and he began to teach them many things. Jesus loved to teach people about the kingdom of God, and he did so with parables. The Kingdom of God is like a mustard seed; though tiny and small, it grows into one of the greatest plants providing shade and offering life. The Kingdom of God is like a wedding-feast where the least of society are invited to eat at the head table. The Kingdom of God is like a sower who goes out to sow, he knows not how the seeds grow but provides rich soil for the seeds to settle in. While we settled into the rhythms of mission work in McDowell County, we started to experience what God’s Upside-Down Kingdom is really like. The Kingdom of God is like a group of privileged folk from Staunton, Virginia who gave up a week of their lives to serve a community of people they had never met. Time and time again they were questioned by the people about their work. No one could understand why a group such as ours would give up their precious time, give up their vacation, to get down on their hands and knees to change a person’s life. We did not go in order to earn our own salvation, we did not go to make ourselves feel better about our faith, we went because God’s Kingdom is one that has been flipped upside-down by the work of Christ, one that compels us to go and love when the world stands bewildered at our actions. The Kingdom of God is like a house with plywood floors. Rough around the edges, with splintered pieces jutting out all over the place, in need of a few good coats of paint. The pieces of plywood met in different angles and sizes with the grain of the wood running in different directions, requiring dedicated attention while painting. God invites all to participate in this Kingdom, and we are not meant to be all alike. In fact God calls us to celebrate the things that separate us, so that we can learn to live in harmony with one another in the midst of differing grains. The Kingdom of God is like a child laughing while running around a tiny yard in the middle of West Virginia with a 6 week old puppy. 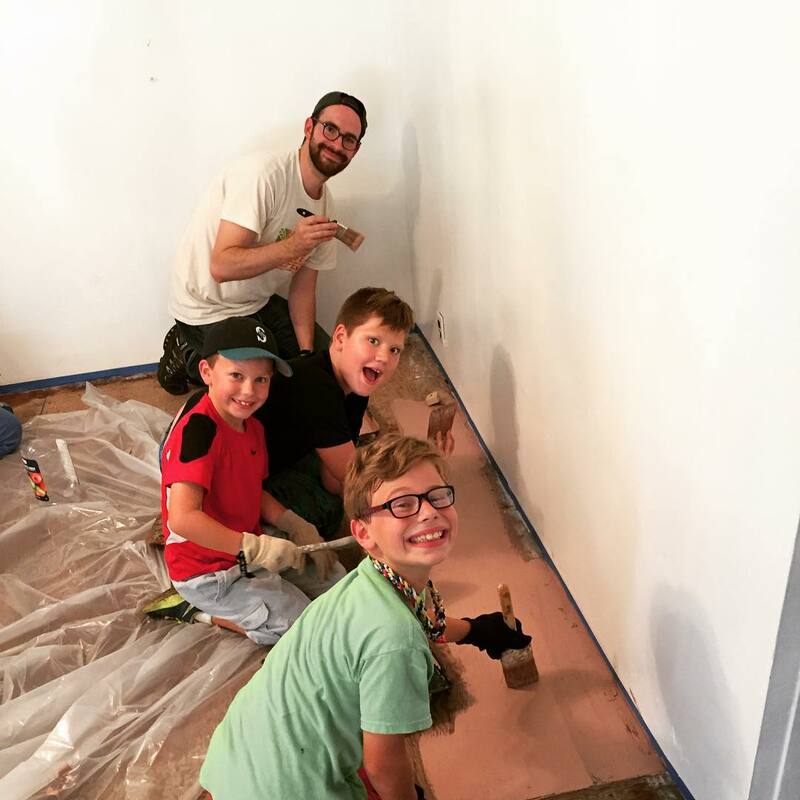 While adults slaved away in the house painting the floors, young children were laughing in a way that helped us to remember why God called us here in the first place; not to just help someone with their material needs, but share in the joy that comes with recognizing God’s grace in something as simple as a puppy, or as profound as a young family moved to tears because of our sacrifice. The Kingdom of God is like a foot-washing the night before Jesus died, and the last night of a mission trip. Each of us took a turn in the chair and were prayed over by the rest of the church group. Every person was lifted up to God and we gave thanks for all that they had given, praised God for the witness they were discovering in their life, and asked God to be with them as they were sent forth into new places. Each person was valued, appreciated, and celebrated. In God’s Upside-Down Kingdom, even the smallest of servants, even the tiniest bits of effort, are embraced and lifted up for the true value they contain. The Kingdom of God is like leaving a mission field, to return home only to realize that everywhere we go is a mission field. That whether we are serving the needs of a community in West Virginia, or living into a new reality of love right here in Staunton, God’s Upside-Down Kingdom is everywhere. The people we served in West Virginia we hungry for something greater than themselves. Though desperately in need of things like food, clothing, and shelter, they actually hungered for something much more precious: value and worth. The challenge of the story of Jesus with the crowds, is that we read about a people who were hungry while so many of us are full. We are not like the people who gathered to discover Jesus, we are not like the desperate crowds rushing to meet the Lord ahead of the disciples. Nobody here is so eager to find God that they beat me to this sanctuary on Sunday mornings. For many of us, church is just one of the many activities that fills our modern lives, rather than the one place where we discover lives worth living. Like many mission trips, I think we got more out of it than the people we served. We thought we were going to help them in the midst of suffering, only to discover that we needed to be healed just as much. We needed to stop viewing ourselves as better than the people we were serving, we needed to learn to love them in spite of their behavior and past experiences, we needed to start looking at them the ways God looks at the world: with love. We went all the way to West Virginia to learn about God’s Upside-Down Kingdom only to realize that we are part of it as well. When the crowds gathered at the feet of Jesus, when he had compassion on them because they were like sheep without a shepherd, he taught them about things like the Kingdom of God. When we get together every week for worship, we are just like those crowds resting at the feet of the Lord eager and ready to learn. It is through our prayers and hymns, through the people in the pews next to us, and through the words of scripture and a sermon that we discover ourselves in the midst of God’s Upside-Down Kingdom, and we begin living accordingly. What a blessing to know then, that every day is an opportunity to serve God’s kingdom from the beauty of McDowell, West Virginia to the beauty of Staunton, Virginia. We are called to be Christ’s hands and feet for the world, so let’s get out there and do it. Amen. 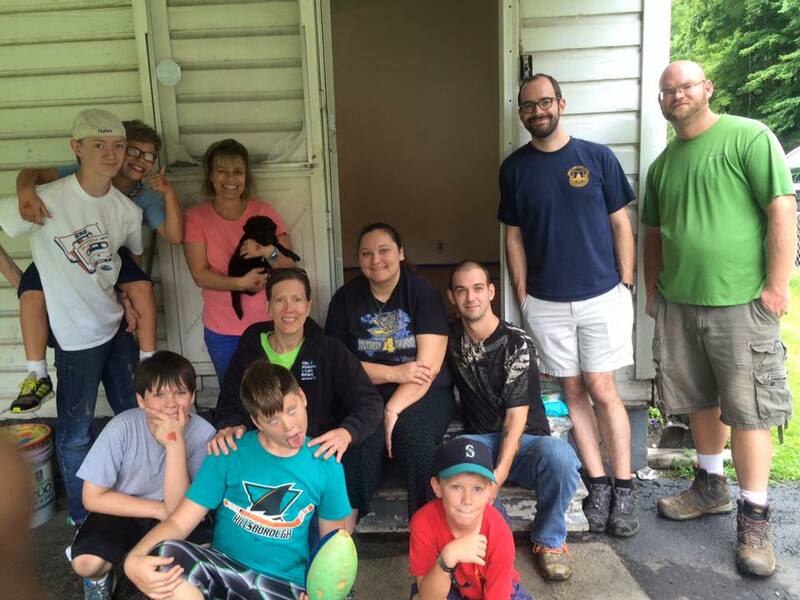 This entry was posted in New Testament and tagged Hope, Jesus, Kingdom, Love, McDowell, Mission Trip, New Testament, Prayer, Preaching, Scripture, Sermon, Service, Vision, West Virginia, Youth Works. Bookmark the permalink.